Zoho Sites has been integrated with Google search engine that enables you to add a search box to your website in a few steps. With this, your visitors can search for and find any speck of content on your website. 2. 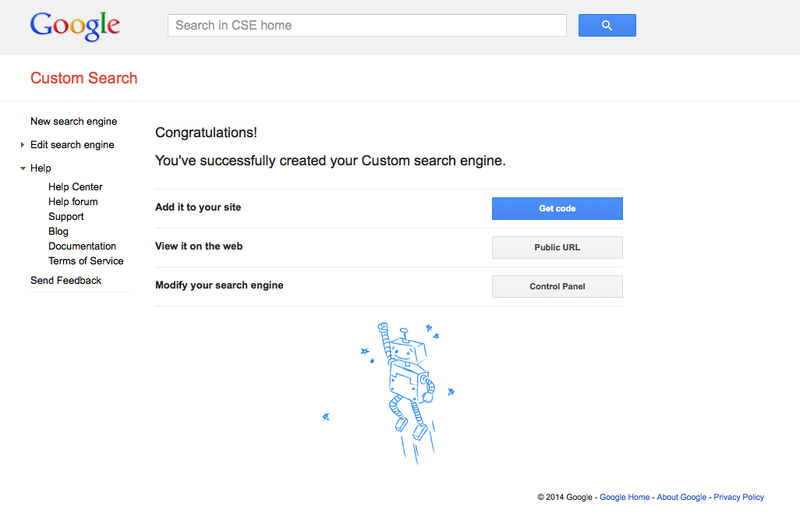 Click on "Sign In to Custom Search Engine". 3. Enter the URL of your site to search . in this case, the URL of your website on Zoho Sites. If required, you can also specify multiple websites to search from. 5. 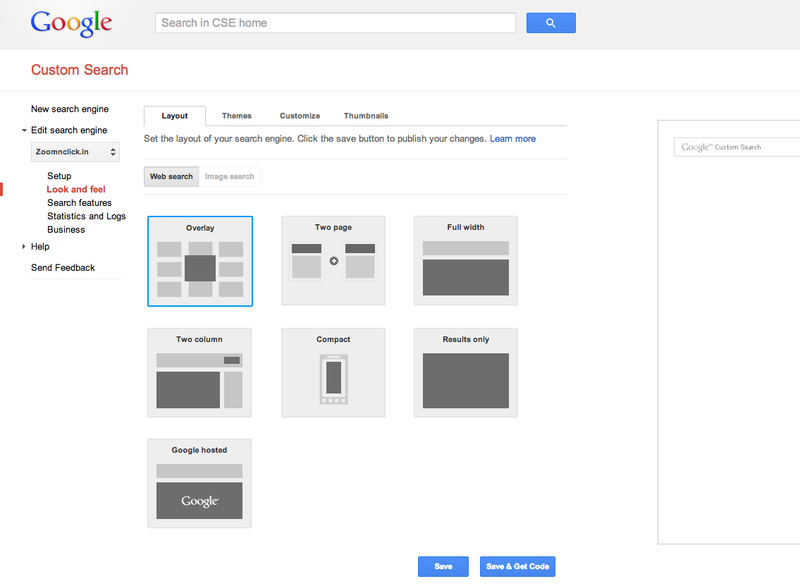 To customize your search engine's appearance, click on "Look and feel" on the left. An array of layouts appear on the right. For a perfect alignment on your website, we recommend you select "Results Only" option. The color customization will not be applied because it might not suit your website's theme. We will apply the best fit so that the results appear as a native of your website's theme. 6. 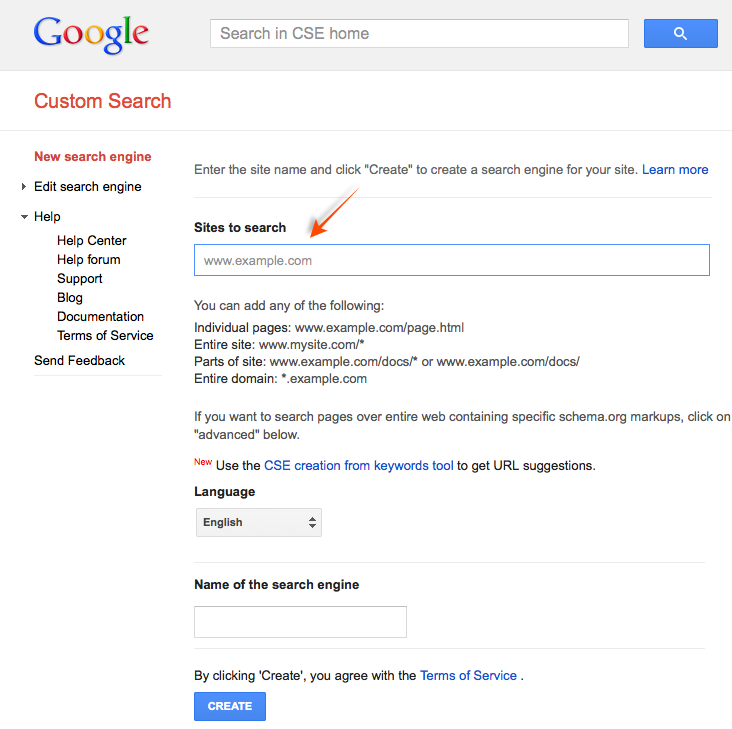 After you have customized your search engine, select "Setup" from the list of options on the left. You'll see the screen in the image below. Click on "Search engine ID" button marked by the arrow. 7. A unique ID will be displayed as in the image below. Copy it. 8. 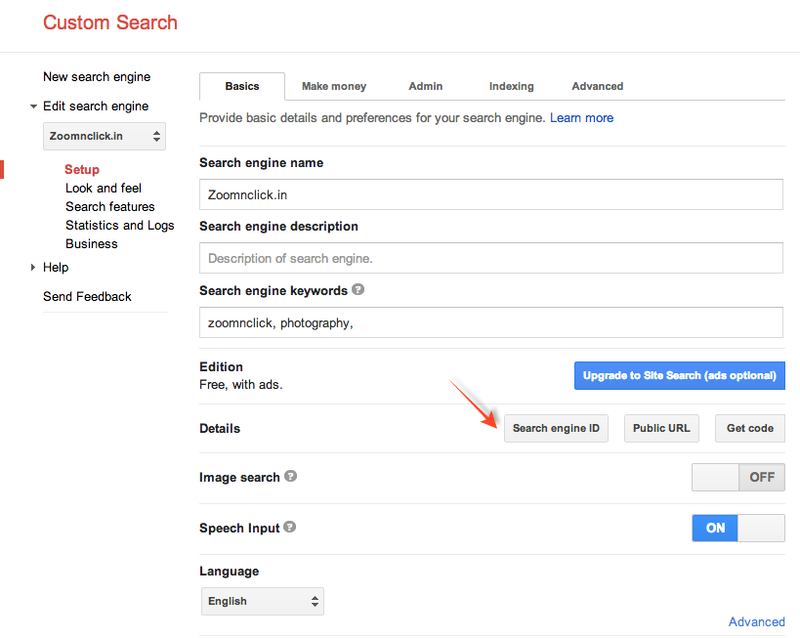 Log into Zoho Sites and access the Dashboard of the site you want to add custom search to. 9. Click on Site Options, then click on Show Search Box and update the unique search engine ID as shown in the image. 10. Like any other changes, publish your website for the search box to appear on your site. Here is how your custom search box would appear on on one of our themes.